If your child loves to listen to music or watch movies, this would be a great gift idea to grab! You can get the iClever BoostCare Kids Cat Ear Pink Headphones for only $11.99 today on Amazon! You will be saving 63% on this purchase because these headphones are normally $31.99! Make sure that you grab this deal on Amazon because the prices can change at anytime on Amazon! 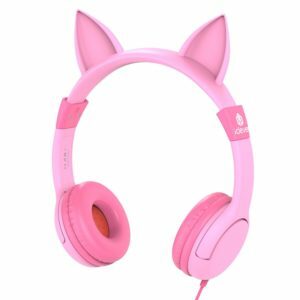 CLICK HERE TO ORDER the iClever BoostCare Kids Cat Ear Pink Headphones for only $11.99 today!